Warhammer 40k's Dawn of War III looks like it is going to be an amazing video game set in the 40k Universe. As big of a property as Warhammer is it has only had infrequent success in the video game sphere. They have sold more than a few low quality video games games that rode off the popularity of the Warhammer License and nothing else. One of the games that did have success was the Dawn of War game that met with both critical and sales acclaim. 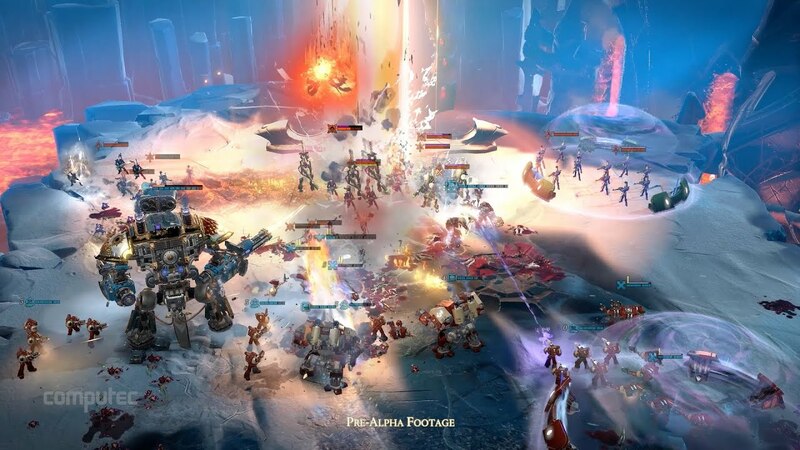 Now a new Dawn of War is on the Horizon and looks pretty spectacular. Get an early look at in-engine footage of the third entry in Relic's real-time strategy franchise, Warhammer 40K: Dawn of War 3. The Orks and Eldar will be a major part of the game.